For many people, finding passion in their work means switching companies until finding the perfect fit. But this was not the case for Lorraine Orr, COO of the Boys & Girls Clubs of America. Now into her 31st year at the organization, Lorraine has spent her career working to level the playing field for disadvantaged young people in America by providing extra-curricular programming that meets young people where they are. 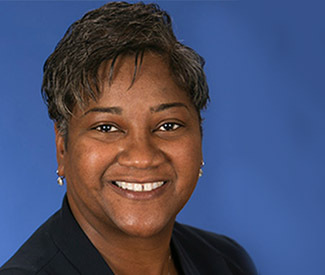 After becoming a local club CEO at the age of 25, Lorraine continued her career in different leadership roles throughout the organization. As COO, she impacts over 600,000 young people every day by working with over 61,000 professionals managed by 26,000 board volunteers and supplemented by 250,000 volunteers. With the largest database in any youth-serving organization in the country, BCGA is able to collate and analyze data from across their network to find patterns, predict youth behavior, and drive changes in training front line leaders. For example, BCGA’s data showed that young people have better outcomes when leaders know and use their names, so the organization incorporated that into its training programs. Rigorous data collection also allows BGCA to identify variability in performance and quality across clubs, making it possible to identify areas for improvement and consistency across the network. BGCA realized that in order to improve quality and outcomes, it needed to address inconsistencies across local affiliates. One solution was through mergers, where BCGA is working to consolidate from 1,100 affiliates to nearly 700. These mergers have proven to be challenging, and while they did not result in cost efficiencies up front, they have led to increased growth and improved outcomes for the young people at merged clubs. After achieving much of their growth organically, BGCA is exploring new pathways to achieve greater scale and impact. It remains focused on key metrics, analyzing its data to find opportunities and continuing to iterate and innovate. BGCA has identified partnerships (including with school systems) as a key driver of scale, as well as the ability to leverage technology to connect youth to the club experience. Scaling impact requires having the right people in the right places at the right time. For Lorraine, one of the most challenging aspects of her role is making sure she has the right talent in place at every level of the organization.